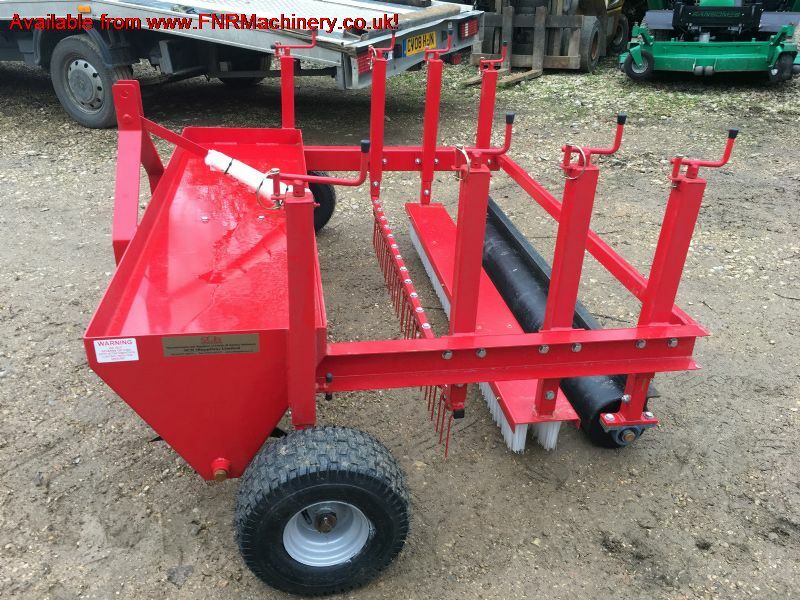 Brief Description: ***BRAND NEW*** The three point linkage mounted combination turf groomer is a multi tasking unit to groom pitches etc prior to use or at the finish of play. 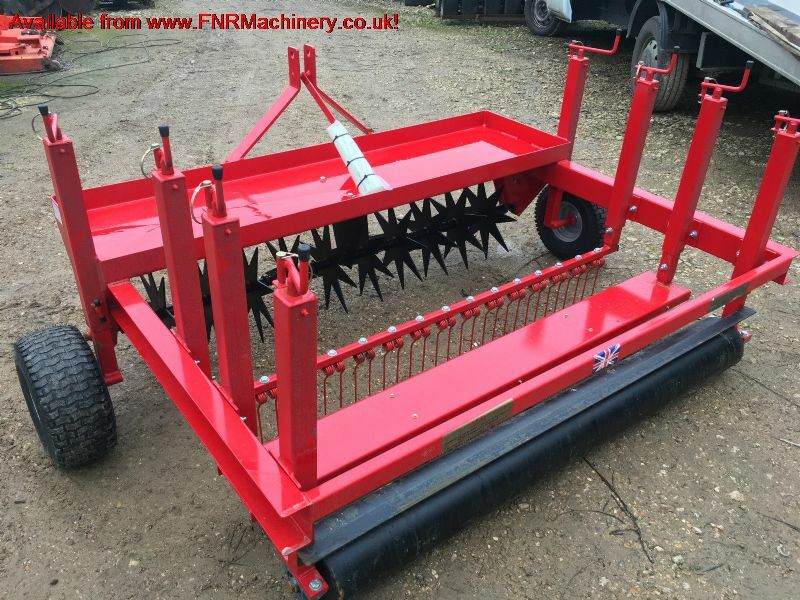 It is also an ideal unit for general pitch grooming/maintenance. 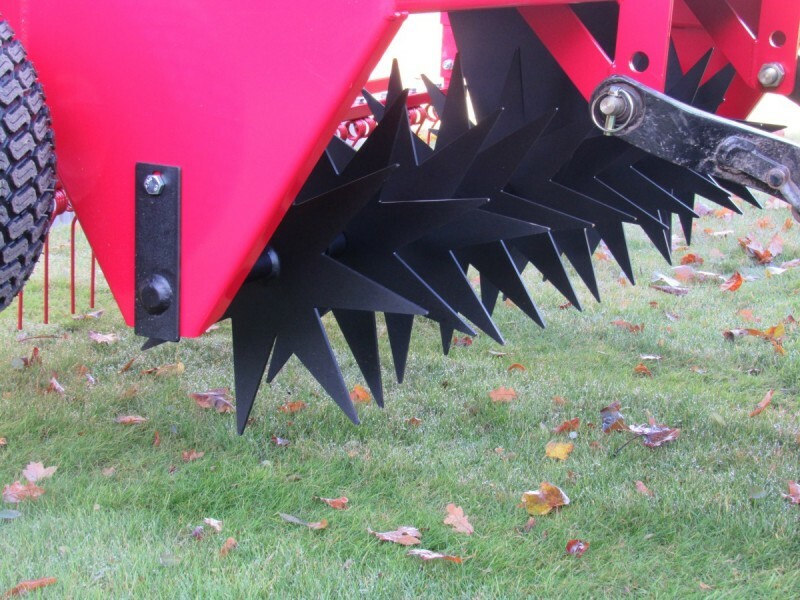 The leading star shaped slitter bar pierces the surface to increase drainage. 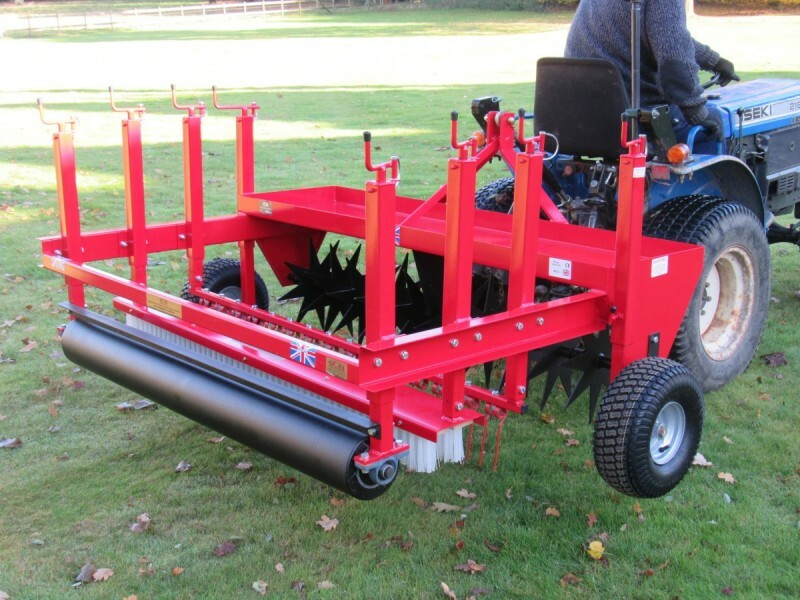 The brush and rake bars tickle over the surface to enhance the quality and appearance of the area. 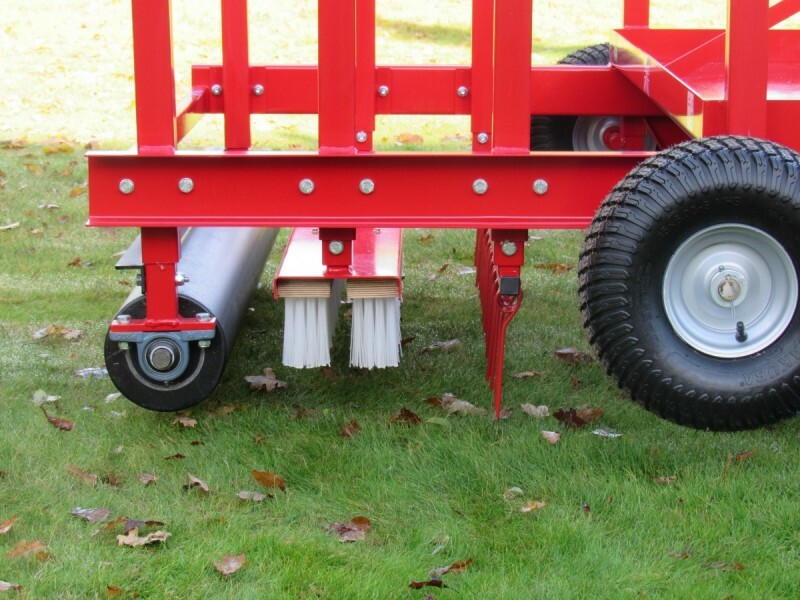 The rear roller firms up the surface and gives that much sought after striping. All three tools can be adjusted by individual screw jacks for depth and pressure. A weight tray is incorporated in the design to allow top weight to be added if required. This tray also acts as a useful general purpose carrier. 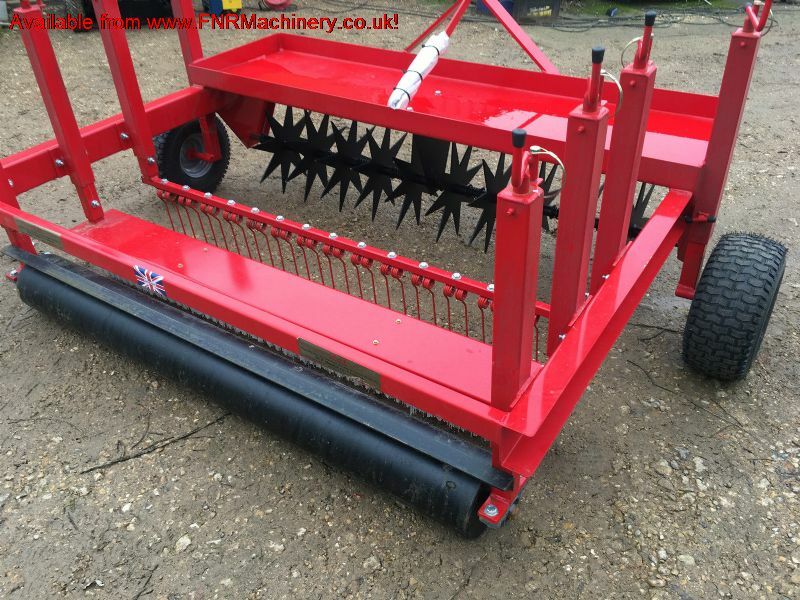 Specificaiton Working width 1500mm (60") Overall width 1700 (68") Other attachments can be fitted to this unit if required.